Charles I of England (19 November 1600 – 30 January 1649), was the monarch of the three kingdoms of England, Scotland, and Ireland from 27 March 1625 until his execution in 1649. He was a son of James I of England. He was married to Henrietta Maria of France. Charles was born at Dunfermline Palace in Fife, Scotland, before his father came to the throne of England. He had an elder brother, Henry, who was clever, handsome, popular, and rich. who was next in line for the throne. Henry died suddenly in 1612, and his brother Charles was made Prince of Wales in his place, showing that he was now the heir to the throne. Charles was less suited to be king than Henry had been, because he was small and weak and not as clever. After his brother died, the person he was closest to was George Villiers, Duke of Buckingham, who was also his father's best friend. The Duke of Buckingham was very powerful and rich, but was not popular with most common people. He took Charles to Spain in the hope of finding him a Spanish princess as a bride, but they had a lot of problems on the journey and could not persuade the Spanish king to give them his daughter as a wife for Charles. On the way home, they went to France, and there Charles met the French royal family. The youngest of the French princesses was called Henrietta Maria of France, and Charles later chose her to be his wife. His religious policies, and his marriage to a Roman Catholic, made him mistrusted by Reformed groups such as the English Puritans and Scottish Covenanters, who thought his views were too Catholic. He supported "high church" Anglican ecclesiastics, and failed to help Protestant forces enough in the Thirty Years' War. His attempts to force the Church of Scotland to adopt high Anglican practices strengthened the position of the English and Scottish parliaments and were a cause of his downfall. When Charles became King, he needed money for a war with Spain, but Parliament wouldn't give it to him. Therefore, he dissolved parliament and did not call it again for eleven years, from 1629 to 1640. This made him very unpopular with the people, who did not like the different taxes they had to pay directly to the king, since Parliament could not vote to give him any budget. Many also did not like the King's closest adviser, William Laud, Archbishop of Canterbury, who was trying to force everyone in England to use the same Anglican Prayer Book and stop the many other Protestant denominations that were becoming popular at that time. When the king and the Archbishop then tried to force a Prayer Book on Scotland, which was even more Protestant (Calvinist), armed rebellion broke out there. 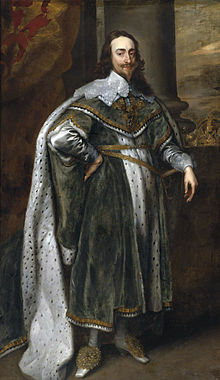 Now that the king was at war, he needed more money than ever, so he had no choice but to call Parliament again in 1640. The members of Parliament, angry at the things that had been going on for 11 years, did not want to give him money to fight his war. Instead, they spent the session complaining about what had been going on in the country for the last 11 years. So after only three weeks, Charles dissolved Parliament again. For this reason, it was known as the Short Parliament. Without enough money, Charles lost the war badly, and had to pay the Scots even more money that he did not have. This meant that once again he had to call a Parliament, much as he hated to do so. One of the first things they did was vote that the King had to call Parliament, and could not shut them down again. Charles had no choice but to agree. This Parliament is known as the Long Parliament, because it ended up lasting for twenty years, until 1660. The Parliament and the King then began to quarrel about who was in control of the army. Each side ended up with their own army, and this led to the English Civil War that started in 1642. The army of Parliament got the upper hand in this war, and Charles, after a crushing defeat in 1646, went to the Scots for protection. But they decided to turn him over to Parliament in 1647. Charles escaped at one point and went to the governor of the Isle of Wight for protection, but this was also a bad move because he too was on the side of Parliament and only captured the king again. While he was being held in the castle, Charles made an agreement with the Scots who joined his side, and the fighting started again in 1648. Because he was still making trouble for them even while he was captured, Parliament voted to put the king on trial. This had never been done to a king of England before. Charles James, Duke of Cornwall 13 March 1627 13 March 1627 Stillborn; unknown burial site. Charles II 29 May 1630 6 February 1685 Married Catherine of Braganza (1638–1705) in 1663. No legitimate children. Mary, Princess Royal 4 November 1631 24 December 1660 Married William II, Prince of Orange (1626–1650) in 1641. Had children. Catherine, Princess of England 29 January 1639 29 January 1639 Stillborn; buried Westminster Abbey. At the trial he was found guilty and was finally put to death by beheading in January 1649. Some of the members of Parliament who were opposed to killing king Charles were purged, and from this time on, what was left of the Long Parliament became known as the Rump Parliament. This Parliament took complete power in England, and there was not a new king at all until 1660. ↑ "Charles I of England". BBC. Retrieved 2011-04-20. This page was last changed on 5 April 2019, at 19:28.